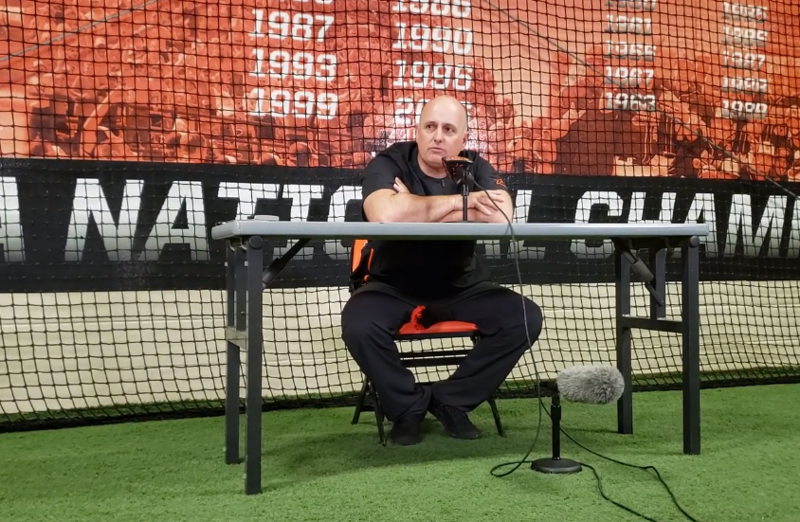 STILLWATER — The Oklahoma State baseball season is less than two weeks away, and Monday, the team held its annual media day. OSU coach Josh Holliday met with the media at the team’s indoor hitting facility to talk about the last season in Allie P. Reynolds Stadium. After Holliday’s conference, select players were available in the OSU dugout.